N’na Fanta Camara, a healer from Guinea, in Western Africa, was recently arrested for conning over 700 women into thinking they were pregnant by giving them a strange cocktail of plants and medicines that left them bloated for long periods of time. Women desperate to become pregnant would apparently seek Camara’s help and pay her considerable amounts of money for herbal concoctions that the so-called healer claimed would help them bear children. The con artist would make her clients drink plant mixtures that caused vomiting and diarrhea, but she reassured the women that this was all part of the process. She made it specifically clear that they were not to go to the hospital to treat their symptoms, but rather see Etienne Balamou, a laboratory technician running a clandestine clinic in Conakry, who police say was her accomplice. In time, the strange remedy made some of the women’s bellies become permanently bloated, making them think they were pregnant. Some reported looking pregnant for 12 to 16 months. Police believe N’na Fanta Camara is responsible for conning over 700 women, charging them $33 per visit. That may seem like a modest fee, but in Guinea, the average monthly salary is only around $48. But apart from cheating them out of the their hard-earned money, Camara also caused serious conjugal problems. 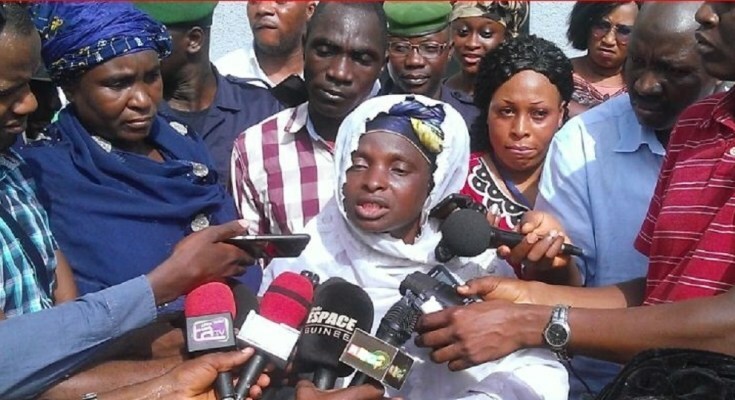 Police Colonel Moussa Tiégboro, who led the investigation in this case, told journalists that over 150 women who had sought the healer’s help were convinced they were pregnant. 47 of them were taken for an ultrasound, and all of them were shocked to hear that they had no babies in their wombs. Despite her denial, a court is expected to charge Camara with endangering people’s lives.